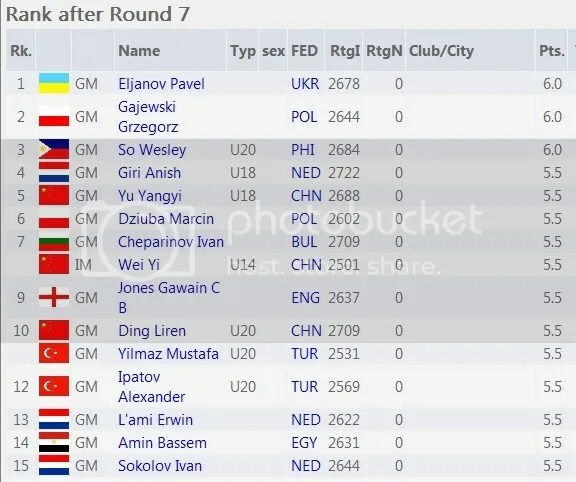 The four other R9 winners are GMs Anish Giri, Ivan Cheparinov, Gawain Jones and Bassem Amin had joined GM Grzegorz and IM Yi Wei in a group of 6-players now with 7.0/9 points. 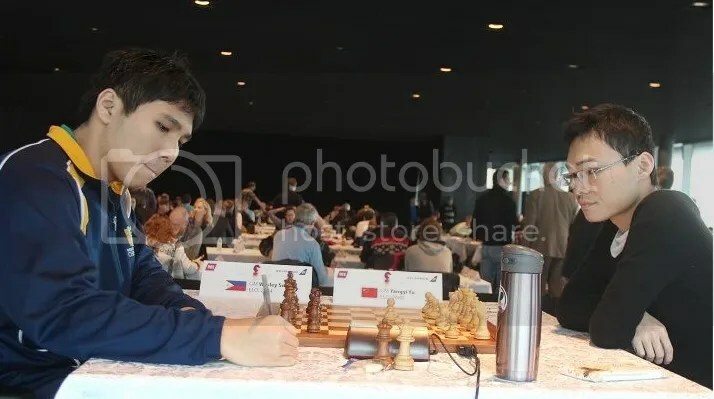 IM Yi Wei (CHN)2501 (born 2 June 1999) formally had secured his 3rd & final GM norm scoring 7.0/9 and a Rating performance (Rp) of 2661. This he accomplished on 26 February 2013 at age 13yrs-8mos-24days. With this feat, he now becomes the 4th all time Youngest Grandmasters(GMs) in history, behind Sergey Karjakin, Parimarjan Negi and Magnus Carlsen. He replaced his countryman Bu Xiangzhi who now occupies 5th place in the list of players to become grandmasters before their fourteenth birthday. Richard Rapport now occupies the 6th place. 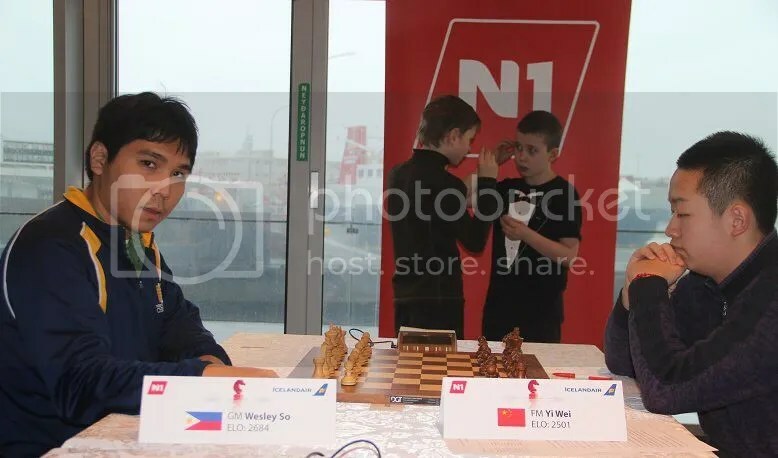 Additionally, Yi Wei is now the current “World’s Youngest Grandmaster”. 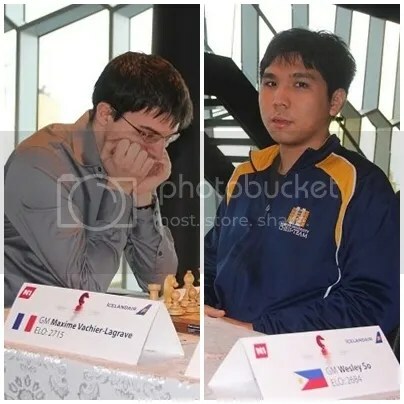 The last round (R10) that would start earlier at 12:00 (Reykjavik time) 27 February 2013, pairs the two leaders Pavel Eljanov(W) versus Wesley So(B) at Board 1. The winner of the match-up will bring home the champion’s trophy. If there is a draw on Board 1, any of the 6 players playing at Board 2,3 & 4 might catch up if they wins and the final ranking will be determined by tie-break points. Six leads going into the last 2-rounds. 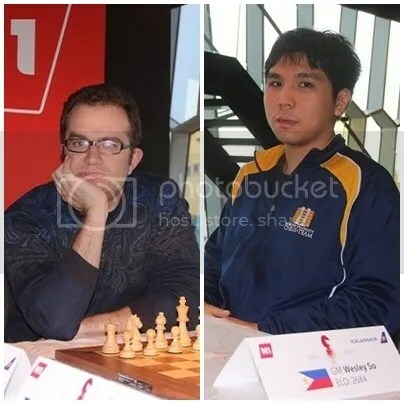 Three leaders in previous R7 namely GM Eljanov, GM Gajewski & GM Wesley So halved points against their respective opponents in the top 2 boards producing 6.5 points apiece after R8 while three others i.e. GM Liren Ding in Bo.5, GM Marcin Dziuba in Bo.6, IM Yi Wei in Bo.8 joined them by routing their respective opponents. The biggest upset of the round belongs to the 13-yrs-old(born Jun-02-1999) & #32 seed Chinese IM Wei Yi, who beat the #2 seed GM Maxime Vachier-Lagrave. The #5 seed GM Liren Ding beat the reigning World Junior Champion & #20 seed Alexander Ipatov while the #19 seed GM Marcin Dziuba upends #11 seed GM Ivan Sokolov. Following closely the new 6-leaders of R8 is an 11-players group just half-a-point behind at 6.0/8. The group star players are the #1 seed GM Anish Giri (NED)2722, #3 seed GM David Navara (CZE)2710, #4 seed GM Ivan Cheparinov (BUL)2709 and #6 seed GM Yangyi Yu (CHN)2688. 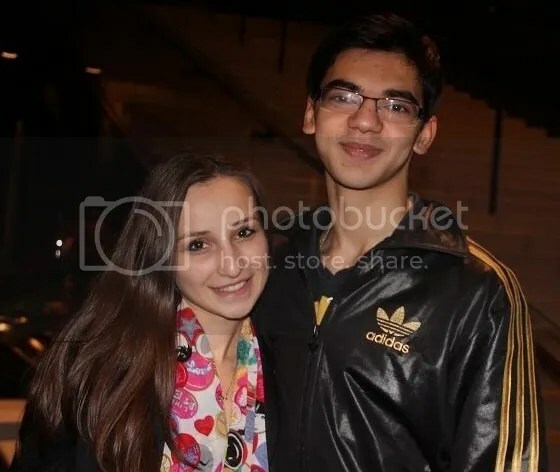 The lone woman member, the prettiest of the group and crowd’s darling is IM Sopiko Guramishvili(GEO)2414 who also happens to be GM Anish Giri’s girlfriend. The penultimate round (R9) starts at 16:30 (Reykjavik time) 26 February 2013, would be another exciting round where R8-top-6 leaders plays in the top 3 boards. Who will bring home the champion’s trophy is still unclear at this point. All the participants playing in the top 9 boards, hypothetically, do have all the chances to win the tournament. The whole thing will be decided on the last two rounds. 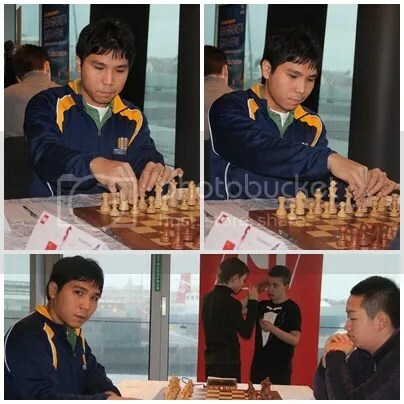 Two of the games in the top 4 boards produced full points while two games ended in draws thus producing 3-leaders scoring 6.0 points after 7-rounds of play at 2013 Reykjavik Open. At Board-2 the #10 seed GM Gajewski upsets the previously unbeaten #2 seed Vachier-Lagrave while at Board-4 the #7 seed GM Wesley So outclassed #23 seed GM Halkias. Behind the new 3-leaders is a dozen players just half-a-point behind at 5.5/7 lead by the #1 seed GM Anish Giri and the other top guns. R8 starts back at 16:30 (Reykjavik time) 25 February 2013, is a battle royale among the participants with R7-top-3 leaders slugging it out in the top 2 boards against their respective opponents. 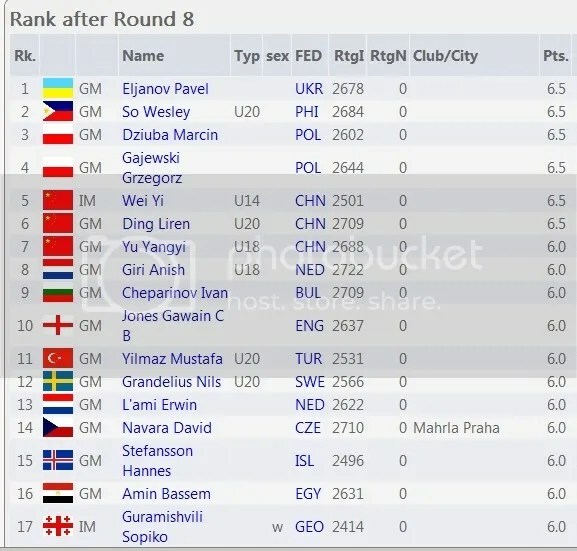 With 6-rounds down, out of the scheduled 10 rounder standard chess at Reykjavik Open 2013, the 8th seeded GM Pavel Eljanov(2678), from Ukraine, after trouncing #4 seed GM Cheparinov Ivan (BUL)2709 is now the sole leader of the tournament with 5.5/6 points. The top seed GM Anish Giri escaped with a draw against #6 seed GM Yu Yangyi while #2 seed GM Vachier-Lagrave was held to a draw by #7 seed GM Wesley So in a very interesting game. Likewise, #10 seed GM Gajewski Grzegorz had drawn his game versus #12 seed GM Socko Bartosz(POL)2643. The two other GMs who were able to catch-up to complete the 7-man group of 5-pointers by winning their respective games are #13 seed GM Gawain Jones and #23 seed GM Stelios Halkias. GM Jones scored a full point by toppling GM Stefansson Hannes(ISL)2496 while GM Halkias won by forfeit as his opponent FM Jayakumar Adarsh(USA)2349 missed to report on time apparently unaware of the games timetable. R7 that starts at 13:00 (Reykjavik time) 24 February 2013, would be another slam-bang games in the top 4 boards as the leaders will slug it out for the lead. After the halfway mark, R5, 7 players are tied at 4.5/5 points and all of them belongs to the Tournament’s Top 10 seeded players. The previous round (R4) top 4 leaders and perfect scorers when fitted each other in R5 had drawn their respective games thus there is ‘No More Perfect Scorers‘. 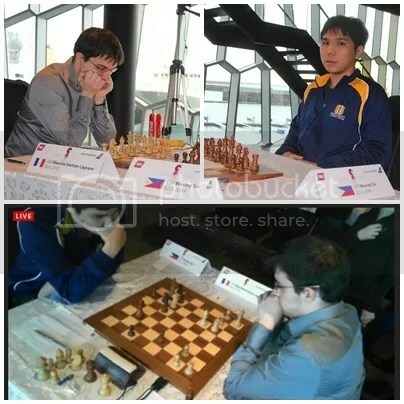 While Giri, Cheparinov and So had won their respective R5 games to join R5-Top-7. Starting R6, as expected the rating gaps in the top boards are closing in and the top seeds are fitted each other in the top 3 boards. Anticipate a slam-bang finish in R6. As the rating gaps in the pairings getting closer each round, about 100 points in R4, the battle in the 64-square board is also getting tighter, intense and exciting. 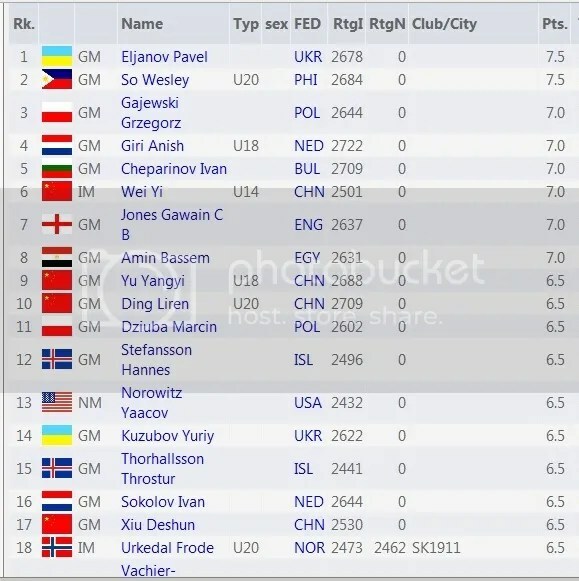 The #1 seed GM Giri Anish (NED)2722 , #4 seed GM Cheparinov Ivan (BUL)2709 and #7 seed GM So Wesley (PHI)2684 who were perfect scorer the previous round had their first taste of draw and are half-point down the leaders tied in a bunch of 11-players group of 3.5/4 pointers. (See hereat the ranking after R4). Round 3 (R3) pairings and ratings differences had narrowed down a bit (about 200 points) causing some of the favorites to stagger against some of the unheralded, unknown but promising oppositions. After R3 games were completed, there were 15 players left with a perfect score of 3.0/3. 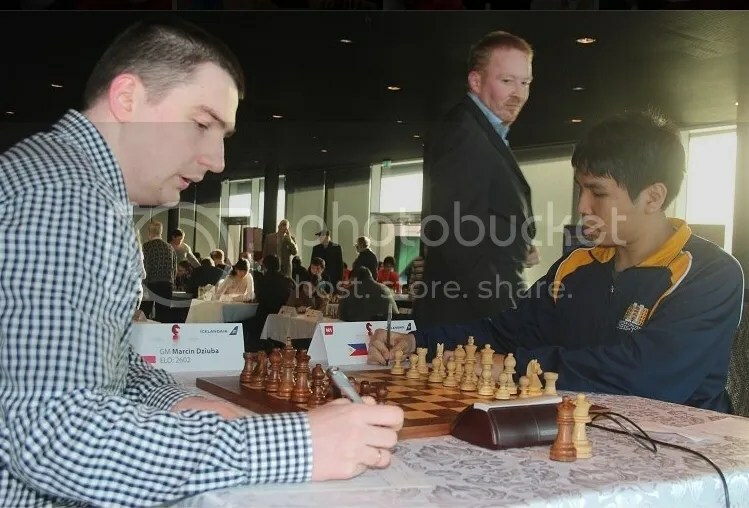 The latest top seed player to draw his R3 game was #9 seed Xiangzhi Bu (CHI)2675 against Throstur Thorhallsson(2441) an Icelandic chess Grandmaster. 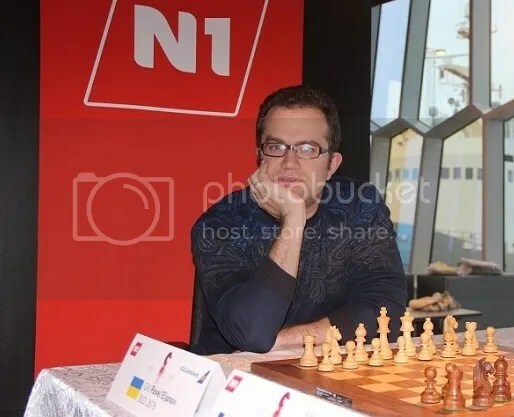 For two consecutive rounds (R2&R3) #3 seed David Navara(2710) settled for another draw this time against Iceland’s first and oldest Grandmaster (78-yrs-old), the legendary GM Fridrik Olafsson(2416). The Reykjavik Open scheduled for 10-rounds (Swiss System “Standard” chess) this year had two rounds, R2 (9:30 AM) & R3 (4:30PM), calendared to be played on 20th February 2013. Still the pairings for R2 are unbalanced but the rating gaps had been reduced and the top seeds will be facing titled players this time. After the battle-smoke of R2 had cleared 44 players were left with a perfect score of 2.0/2. Of the 5-hyper GMs (2700+), three(3) still remain unscathed namely #1 seed Anish Giri (2722), #2 seed Maxime Vachier-Lagrave (2715) and #4 seed Ivan Cheparinov (2709). Also with perfect scores are #6 seed Yangyi Yu (2688), #7 seed Wesley So (2684), #8 seed Pavel Eljanov (2678), #9 seed Xiangzhi Bu and #10 seed Grzegorz Gajewski (2644). Not so lucky this time was #3 seed David Navara (2710) who drew his game against Azerbaijan WGM Culnar Mammadova (2369) whose rating is 341 points lower thereby incurring a -3.8 loss in rating points. 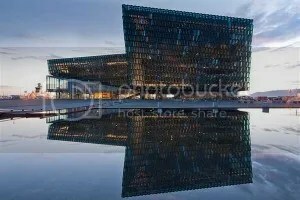 The Reykjavik Open 2013 held for the 28th time from 19-27 February had a rousing start on 19 February (round-1) in Harpa Corcert Hall, Reykjavik, Iceland that gathered 35-GMs [ 5-hyper-GMs (2700+), 14-super-GMs (2600+)] from a hefty field of 227 players coming from 37 countries/federations. As usual, in open tournaments, round-1 pairings are unbalanced match-ups for the top seeds with the #1 seed Anish Giri (NED)2722 facing Johan-Sebastian Christiansen a 2071 rated player from Iceland. Christiansen’s FIDE rating is 651 points lower than Giri. The #7 seed Wesley So (PHI)2684 opponent was Fredrik Palmqvist from Sweden whose FIDE rating of 2050 is 634 points lower. Both Giri & So won their respective games and gained just a +0.8 rating points. Other Top seeds round-1 winners are #2 Maxime Vachier-Lagrave(FRA)2715, #3 David Navara (CZE)2710, #4 Ivan Cheparinov (BUL)2709 and #6 Yangyi Yu (CHN)2688 who all also gained a +0.8 in rating points. 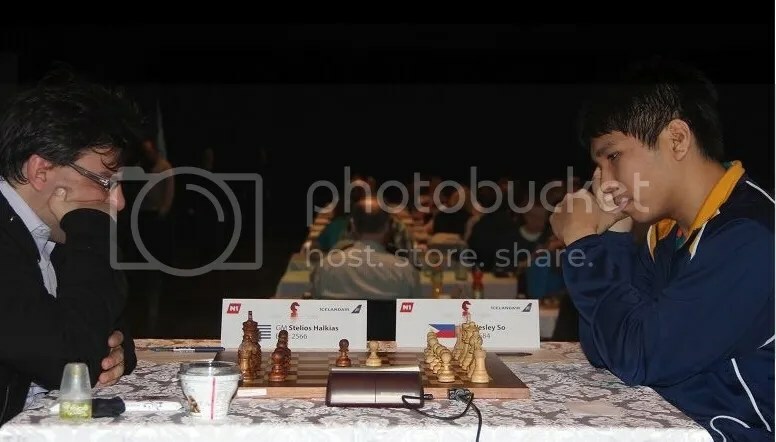 A bit of a surprise ensued at board-5 when the #5 seed Liren Ding (CHI)2709 managed only to draw his game against 13-year-old (born: 27 Sep 1999) and 2059 rated Norwegian Sebastain Mihajlov whose rating is 650 points lower. The draw cost Ding -4.2 in rating points loss. Round 2 (9:30AM) & 3 (4:30PM) will be held on 20 February 2013 Reykjavik time.